Whether you’ve got visitors, travelling with kids or going camping, an air bed is a good investment. Check out Australia’s best air mattresses that suit a range of budgets and purposes. Remember childhood trips to the grandparents? In between the sweet treats, sticky cheek kisses and the lingering smell of gran’s perfume, you probably remember nights on an air bed. Thankfully, technology has moved on a lot since you ended up with a sore back on the kitchen floor after the mattress deflated slowly overnight. At Betterbed we think all Australians deserve a great night’s sleep – even on an air mattress. That’s why we’ve rounded up the top air mattresses in Australia. Whether you’re hitting the great outdoors or it’s your turn to host gran, our guide’s got the best air bed for you. We started with an independent consumer review website. This let us know what real Australian customers thought about their air bed. Armed with popular Australian air mattress choices, we headed to the manufacturers’ websites. Cutting through the marketing talk, we looked at the features that are most important to customers: durability, comfort, size, weight and price. Plus, how good it is at staying inflated overnight. 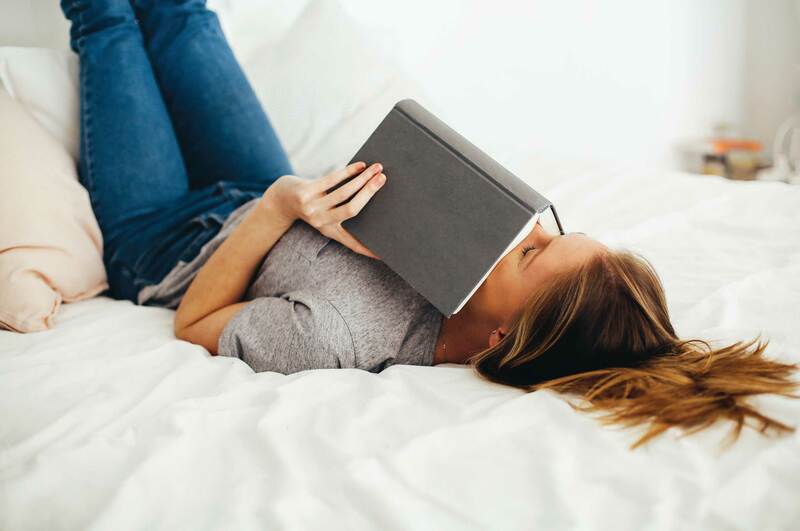 Once we got that information, we combined it with the customer insights to get our take on Australia’s most durable and comfortable air mattresses. Here are our top picks for the best air mattresses in Australia. Wanderer’s outdoor equipment supplies are developed for Australian conditions. Crafted from durable textiles, they specialise in hardy camping products, including airbeds. 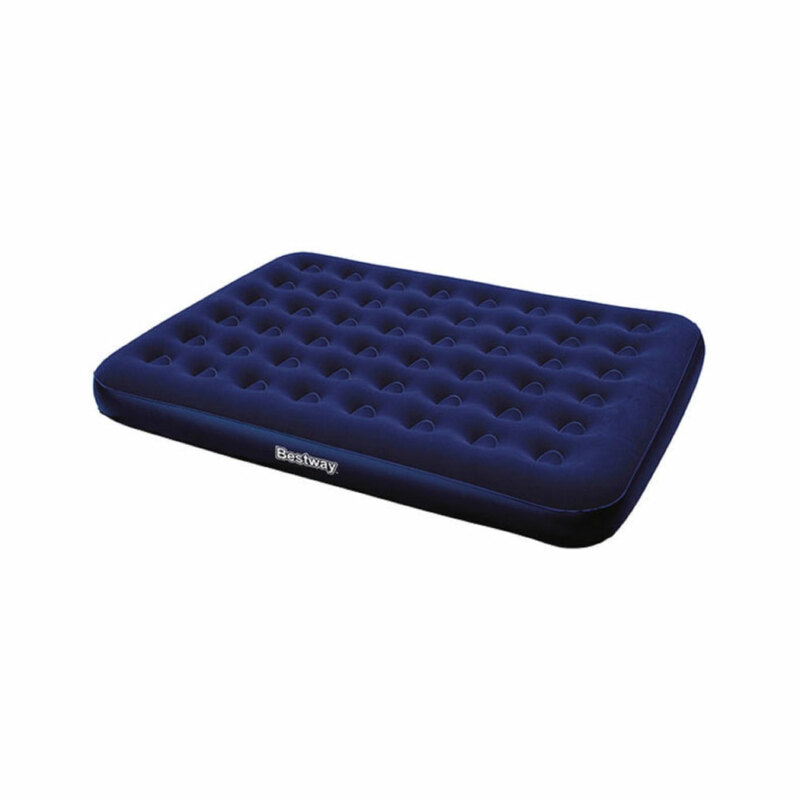 Their Comfort Rest Double High Queen Airbed is our pick for overnight guests. Double-high size, measuring 38cm from the floor, your guests can easily get in and out of it. Heavy duty PVC ensures it’s durable. While the soft touch, flocked top gives a comfortable non-airbed feel. It features a back rest. This allows your guests to sit up comfortably in bed and keeps pillows on the bed, not dropping off the back. It includes a carry bag for easy storage and transportation. Customers rave about how comfortable and ideal it is for overnight guests. They feel that it doesn’t deflate overnight and love the back rest. We think guests will love its comfortable, luxurious feel and propping themselves up on the clever inflatable headboard. Bestway manufactures high quality outdoor leisure products. Their Single Air Bed is our budget pick, coming in around $12 (or $30 with a built-in foot pump). 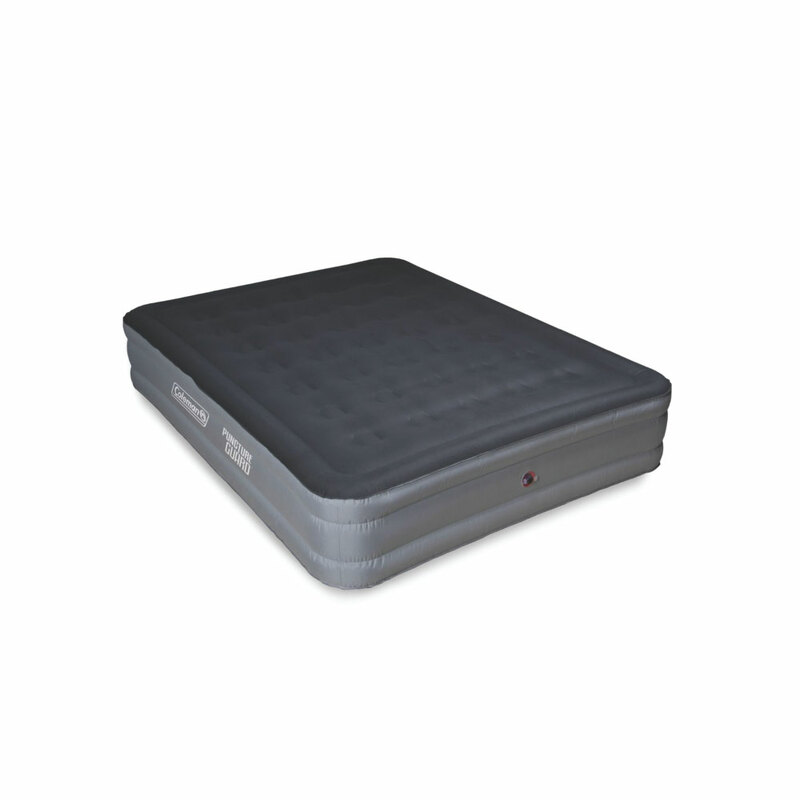 Made of sturdy, pre-tested vinyl, it features a comfortable flocked sleeping surface. A coil beam construction supports even weight distribution. It’s only available in single size and is 22cm deep. It has an inflation and deflation screw valve for quick set up and put down. Easy clean, simply wipe down with a damp cloth as needed. Customers reckon it’s good quality for such an affordable price point. We reckon if you’re after a simple, low air bed to quickly inflate for the occasional overnight guest, this is a good choice. Coleman is an American company that specialises in outdoor recreation gear, especially camping gear. Their All Terrain Double High Mattress promises to endure even the harshest Australian terrain. This is due to its Puncture Guarded bonded fabric, which provides 47% improved protection against punctures, compared to other Coleman air beds. This durability makes it good for rough ground. At 30% lighter than other Coleman air beds, it’s also good for carrying around if you’re hiking and camping. It’s factory-tested to ensure it’s leak-free. This includes a dual-sealed valve. The coil construction provides good support for a comfortable sleep. It also features a built-in storage system for you to fold, roll and store. At 38cm deep, it provides a luxury feel. Ensure this depth will fit into your tent. Customers say it’s excellent quality. It’s robust enough for camping yet also doubles up as an indoor air mattress. We like how it adds a touch of comfort to your camping, while being good enough to use at home too. Intex focuses on providing high quality, affordable products that are engineered and tested. Their Kidz Travel Air Bed features 2 separate sleeping surfaces. 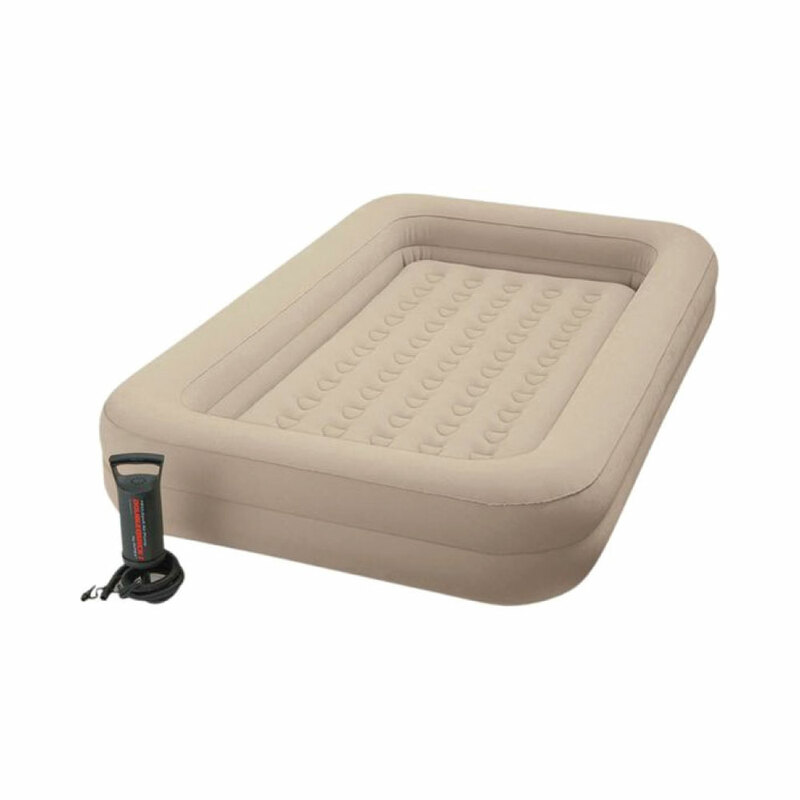 You can remove the inner air mattress and use it separately from the heavily cushioned frame. This frame keeps your little one snug and safe in bed. The inner mattress fits standard cot sheets. It comes with a hand pump for easy (but long) inflation and a carry bag. It suits children aged 3 and up. Customers love how well their kids sleep in it. Kids enjoy the nest-like feel of the bed. We think although it’s a bit bulky and heavy for flying, the benefits of a good night’s sleep outweigh the cons. Air mattresses come in a range of heights. The intended use of your air mattress should influence your buying decision. Avid camper? A double height air bed may not fit into your tent. Travelling? You’ll need a lightweight, small one. Kids or teenagers visiting? They’re probably happy to not sleep on the floor or couch, so will be ok with a basic air mattress that sits low on the ground. Older guests? If they struggle to get down to the ground (and back up), they’ll appreciate a higher, thicker mattress. Save yourself time and effort by getting an air mattress that inflates and deflates with a pump. If you’ll only use your mattress indoors, go for a pump that plugs into a wall outlet. 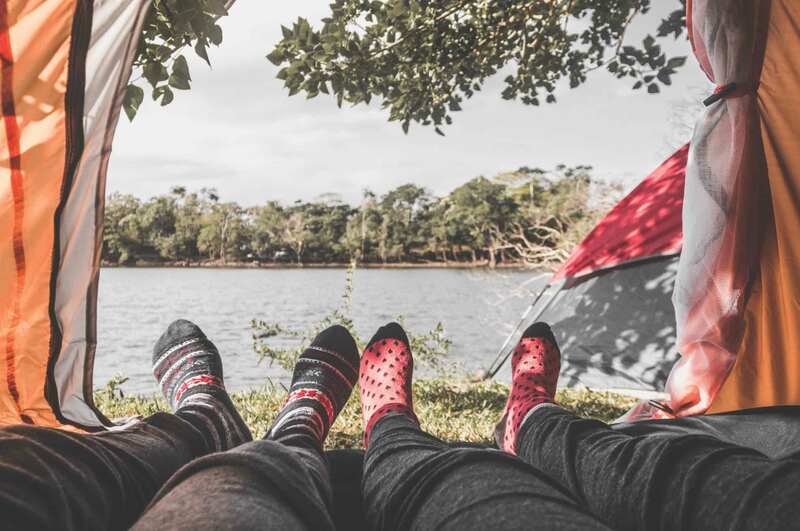 But if you’re going camping, try a manual pump (think bicycle or foot pump), a battery-powered one, or one that plugs into a car. If the mattress doesn’t come with a pump, consider buying one separately. It’s a worthwhile investment. Ensure it’s compatible with the air valve on the mattress. However fancy you go, an air mattress is always air encased in vinyl, PVC or nylon. If you can, choose a mattress that’s topped with a softer, velveteen material. 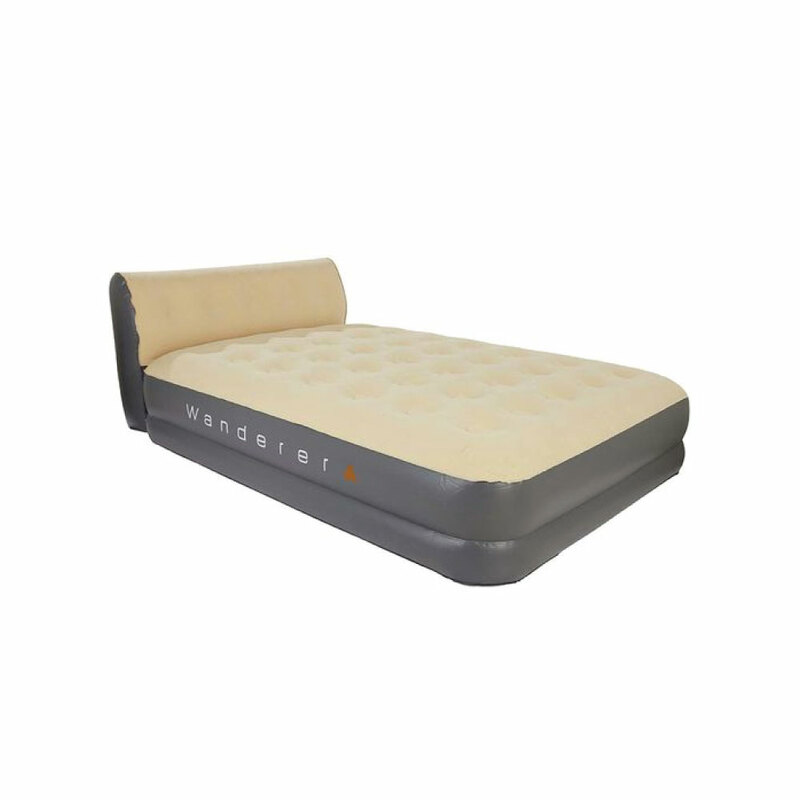 This will help reduce the normal air bed sensations – a slippery feel and creaking noise. Consider how much support you need your air mattress to provide. If it’s for occasional use by late night guests, probably not much. But if it’s a bed alternative for older guests, you might need more support. Air mattresses with a network of internal air coils or chambers help spread the air in the mattress equally. This ensures there aren’t any lumpy spots that cause you to roll off. Look for coil counts of 30+ in a queen size air bed. Think about what you’ll do with the air mattress when it’s not in use. If you’re planning on storing it, ensure when it’s deflated it’s small enough to fit in the cupboard. It probably won’t be possible to squeeze the mattress back into its original box once you’ve unpacked and used it. A vacuum pump can help you squeeze out all the air. All air mattresses will lose some air overnight. This is due to the sleeper’s (or sleepers’) weight and changes in temperature. However, a top-quality blow-up mattress should lose very little across 1 night. Look out for features like leak-proof valves and extensive testing that guarantees little air loss. Are you taking it camping or travelling? If yes, choose a lightweight model that comes with a small carry case. This will make it easier to carry around. Inflatable beds tend to run smaller once they’re inflated. Go bigger if you can: opt for a king or queen rather than a double. Check out the warranty. The best air bed warranties will cover the mattress and the pump (if included) for at least 1 year. Be sure to follow any specific care instructions to maintain your warranty. Your new sofa is a click away. 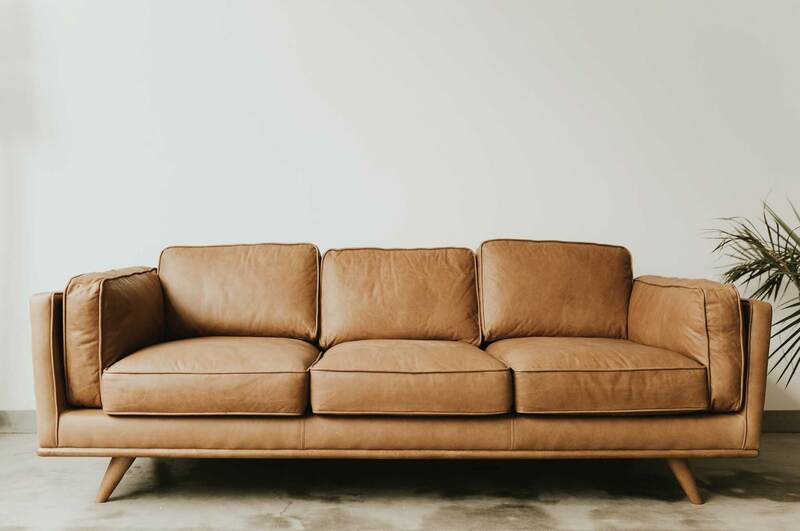 Rather than wasting hours of your weekend hitting the shops, find your new sofa online with our guide to Australia’s best sofas. Ride out winter from underneath one of Australia’s best warm blankets. 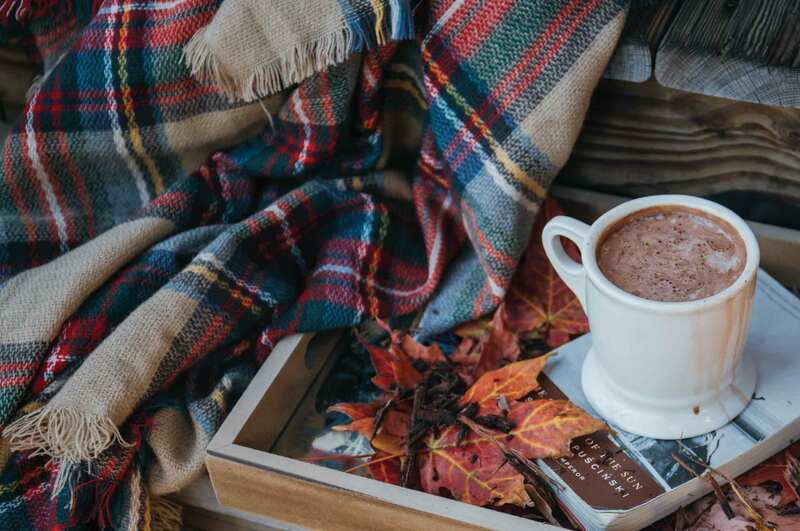 Our guide covers a range of blankets, from weighted to wool, that can be ordered online. If the budget doesn’t stretch to a new mattress, consider a mattress topper. Get a comfier, more supportive mattress without the massive price.